First, and most obviously: why is this question not asked? That is to say, why do we simply leave it to hover in the shadow of attempts at critical summation in the grand tradition of twentieth-century artistic movements? The contemporary delineates its border invisibly: no one is proud to be “contemporary,” and no one is ashamed. Indeed, the question of where artistic movements have gone seems embedded in this question, if only because “the contemporary” has become a single hegemonic “ism” that absorbs all proposals for others. When there are no longer any artistic movements, it seems that we are all working under the auspices of this singular ism that is deliberately (and literally) not one at all . . . Widespread usage of the term “contemporary” seems so self-evident that to further demand a definition of “contemporary art” may be taken as an anachronistic exercise in cataloguing or self-definition. At the same time, it is no coincidence that this is usually the tenor of such large, elusive questions: it is precisely through their apparent self-evidence that they cease to be problematic and begin to exert their influence in hidden ways; and their paradox, their unanswerability begins to constitute a condition of its own, a place where people work. So it is with the contemporary: a term we know well enough through its use as a de facto standard by museums, which denote their currency through an apparently modest temporal signifier: to be contemporary is to be savvy, reactive, dynamic, aware, timely, in constant motion, aware of fashion. The term has clearly replaced the use of “modern” to describe the art of the day. With this shift, out go the grand narratives and ideals of modernism, replaced by a default, soft consensus on the immanence of the present, the empiricism of now, of what we have directly in front of us, and what they have in front of them over there. But in its application as a de facto standard this watery signifier has through accumulation nevertheless assumed such a scale that it certainly must mean something. If we pursue it further, however, and try to pin it down, it repeatedly escapes our grasp through a set of evasive maneuvers. And perhaps we can say that the ism that is simultaneously not is its evasive maneuver number one: the summation that does not admit to being critical or projective (in the grand tradition of modernist ideological voices), to denoting an inside and an outside, a potential project, but that is simultaneously there, saying nothing. So why the extra qualifier? Why insert an extra word into “museum of art”? Like any evasive maneuver, this one works by producing a split: between the term’s de facto usage, which momentarily holds your attention by suggesting the obvious parallel with the “current,” with its promise of flexibility and dynamism, while simultaneously building a museum collection along very specific parameters—masking ideology. To follow the self-evidence of the question at hand, we could note the morphological Frank Gehry walls of a spectacular contemporary museum to be in fact made of concrete and steel—their suggestion of formless flexibility, their celebration of the informal, is frozen in some of the heaviest, most expensive, and burdensome institutional public sculpture around. The contemporary suggests movement, yet it does not itself budge. This contemporary museum is acutely aware of other contemporary museums in other places. It is a node in a network of similar structures, and there is a huge amount of movement between them. Evasive maneuver number two could be the one that shifts your focus to a presumably de-centered field of work: a field of contemporary art that stretches across boundaries, a multi-local field drawing from local practices and embedded local knowledge, the vitality and immanence of many histories in constant simultaneous translation. This is perhaps the contemporary’s most redeeming trait, and we certainly do not miss the old power centers and master narratives. In many ways, this is an evasive maneuver worth making. And we can even avoid the conservative critique that this horizontal movement cheapens what it encounters, reducing it to spectacle. Certainly the quantity of work placed on display can become an issue, but networks now spread much wider than ever before—much has been made available, and it is up to you to sort through it. The contemporary as a cacophonic mess gives us enormous hope. But let’s not underestimate how the contemporary art system can atomize with some degree of cohesiveness. True, many peripheries have been mobilized not as peripheries, but as centers in their own right. But, seen from the so-called peripheries and centers alike, does this system really learn, or does it merely engage with its many territories by installing the monolithic prospect of hyperspectacle? If we are indeed aware that something is lost and something is gained in any process of translation, are we as certain that the regime of visibility installed by contemporary art functions by placing various local vernaculars into contact with each other on their own terms (as it promises to do), or is it something like the international biennial circuit, asserting its own language distinct from center and periphery alike? In this way, the contemporary starts to reveal itself to be something like a glass ceiling, an invisible barrier that seals us together precisely by its very invisibility. We acknowledge one another, individual artists, certain cities, social scenes, a few collective tendencies that seem to arrive more as common interests than social projections, but nothing attains critical mass under any umbrella beyond “the contemporary.” It’s not so different from how we understand capitalism to work, through one-to-one relationships that are seemingly too small-scale to be complicit with anything, masking the hidden ultimatum of an innocuous protocol—if we begin to discern its shape, either it shifts, or we become obsolete: uncontemporary. But then perhaps that would not be such a bad thing . . . 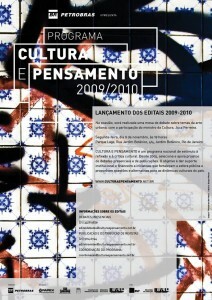 Author artesquemaPosted on January 9, 2010 Categories artes, critica de arte, publicações2 Comments on What is contemporary art? Em setembro de 2009, por ocasião da segunda edição do evento Performance Presente Futuro, no Oi Futuro, Rio de Janeiro, o artista e hoje arquiteto Vito Acconci deu uma palestra sobre sua trajetória profissional. Conhecido no meio da arte como um dos precursores da body art nos anos 1970, nos Estados Unidos, suas performances e videos da época constituem um referencial importantíssimo para as gerações subseqüentes que discutiram e ainda discutem questões relacionadas à crítica institucional, à arte como ferramenta ativista e sua aproximação com a vida. Nesta conversa, realizada num bar carioca à beira-mar, Acconci mostra-se o mesmo homem crítico e lúcido – embora tenha trocado, nos anos 1990, a arte conceitual de veia política por projetos arquitetônicos arrojadamente lúdicos, frequentemente financiados por fundos de Estado ou grandes corporações. Entretanto, o seu discurso ainda se apóia na mesma crença que move seu trabalho desde o início: de que a arte deve tocar o outro e impedir a banalização da existência. À seguir, o artista fala sobre alguns pontos de sua trajetória, incluindo o mal-estar que cercou a execução de uma versão não-autorizada do projeto idealizado para o evento paulista Arte/Cidade, em 2002. Você participou do projeto Arte Cidade, em São Paulo, e houve discussões sobre sua proposta (uma construção translúcida, suspensa por uma marquise central, instalada sob o viaduto do Largo do Glicério, com acesso feito por 3 escadas, sendo uma delas a partir do alto do viaduto. A obra era destinada aos sem-teto e possuía instalações para higiene pessoal e lazer. Ao fim, a produção do evento executou, sem o consentimento do Studio Acconci, uma espécie de contêiner adaptado). O que ocorreu? Na época da mostra, Nelson (Brissac Peixoto, curador do Arte Cidade) e eu passeamos pela cidade e vimos muitas pessoas morando embaixo de viadutos. Pensamos que nosso projeto poderia dar casas a estas pessoas, mas que elas também precisavam de entretenimento. Então desenhamos uma espécie de casa invertida, em que um lado do teto se estendia até o chão e servia de escada para que as pessoas subissem e entrassem neste prédio de cabeça para baixo, que não precisava de teto porque teria a autopista do viaduto como um. Propusemos diferentes usos para aquilo: poderia haver uma tela de televisão e os pisos diagonais poderia servir como arquibancadas de um anfiteatro, ou poderia haver um playground para crianças… Enquanto projetávamos, Nelson se perguntava se teriam dinheiro para construir este prédio, mas quisemos apresentar o projeto independentemente disto. Fiquei muito surpreso quando ele me enviou um jornal noticiando nosso projeto. A figura mostrada no jornal era uma espécie de caixa, que foi chamada de “studio para os sem-teto”. Escrevi ao Nelson imediatamente dizendo que aquele não era nosso projeto, que não era nada diferente de qualquer construção para programas habitacionais, e que toda a idéia da recreação tinha desaparecido, e ele me respondeu que era o único modo pelo qual poderíamos ter nossa obra realizada. Não me opunha que ele fizesse isto, mas não poderia chamar este projeto de “nossa obra” porque não era. Às vezes a imagem de um projeto é mais eficaz que um projeto real, porque funciona melhor como uma espécie de ensaio. Quando você está dentro de um projeto você está perto demais para conhecer sua teoria. Nunca entendi porque Nelson insistiu em fazer aquilo. Você via este projeto como algo para ser aplicado nas ruas ou apenas um projeto artístico, conceitual? Nada do que fazemos agora é projeto artístico. Fazemos arquitetura, fazemos design,… Mas não queremos ser apenas “uso”; queremos uso e algo mais. Se a utilidade fosse o único objetivo, aceitaria o que Nelson fez, pois era um lugar útil. Mas queremos um lugar que as pessoas usem e onde ocorram mudanças de pensamentos. Para o Arte Cidade, precisávamos da ajuda de Nelson, porque não conhecemos São Paulo, nem esse bairro. Teríamos adorado conversar com alguns desabrigados, porque de outro modo, nós estaríamos vindo de fora e dizendo “vocês querem isso”; sem saber o que realmente querem. Nunca nos encontramos com os sem-teto porque nunca soubemos que o projeto iria acontecer. Algo admirável neste projeto é que ele valoriza os sem-teto. Em geral, projetos para a população pobre dão a ela o pior: o pior material, o desenho mais básico. Em primeiro lugar, sabíamos que as pessoas geralmente não querem entrar em locais públicos fechados porque; quem sabe o que pode acontecer ali? Então usamos lâminas de plásticos de modo que se pudesse ver o interior. Havia luz no interior, porque aquela vizinhança não era muito freqüentada a noite, então pensamos que a luz poderia trazer as pessoas para o seu redor, não teriam medo deste local. E isso pareceu realmente importante para nós. Saberia precisar quando fez a transição da arte para a arquitetura? Foi no início dos anos 1980, mas foi no final dos anos 1990 que comecei a trabalhar com arquitetos. Eu pensei que, se eu quisesse trabalhar com espaços públicos, não poderia fazê-lo sozinho. Não apenas porque eu não sabia como fazer arquitetura, mas também porque algo público deve ser resultado de uma discussão. Quando temos pessoas de diferentes nacionalidades e gêneros em conversa, todos têm uma idéia diferente de “público”, e unindo estas idéias podemos chegar a uma noção válida. Então, desde o final dos anos 80, todos os projetos vêm de um Studio de arquitetura. E qual o motivo desta transição? Eu apenas não sabia mais o que eu queria fazer em uma galeria ou em um museu. Assim como outras pessoas da minha geração, lá pelos anos 1970 vimos que os museus estavam mudando, mas não como pensávamos que deveriam, não em resposta a nossas perguntas: “por que os museus não têm janelas?”. “A arte é frágil? É tudo isso?”. Eu não sabia que significados as coisas poderiam ter além do básico: isto dá às pessoas um lugar para sentar, isto dá às pessoas um espaço mais fechado ou mais aberto. Comecei a me interessar por esta linha de pensamento, apesar de não buscar significados, pois acho que eles surgem quando as pessoas estão no meio de uma atividade. Acho que faz sentido que eu tenha vido de um histórico de performance, eu não quero que a arquitetura seja essa coisa imóvel, quieta… Espero que o trabalho de todo mundo venha de algum tipo de sistema de pensamento e que resulte do modo como eles vêem o mundo. É bom saber que não existe apenas um modo de se ver o mundo, se todos vissem o mundo ao meu modo, seria um mundo muito chato. Por isto não posso dizer que, com meus projetos, esteja mostrando às pessoas como pensar, mas aqui está um exemplo. Você sente que, a partir dos anos 1990, a arquitetura deixou de ser uma combinação entre o artístico e o prático e tornou-se algo apenas prático? Bem, até pior que isso. Nos anos 80, acho que muitos arquitetos pensavam de modo artístico, em uma versão de “vamos fazer uma casa na qual a porta se pareça com uma boca e as janelas se pareçam com olhos; vamos fazer uma casa com o teto furado…”. É quase como se a Disneylândia tivesse chegado à arquitetura. . Então começamos uma arquitetura muito chata e formal. Tínhamos Bauhaus, algo que deveria ser muito funcional mas tinha uma preocupação estética; mas daí nos anos 1990, havia apenas o funcional e chato: você tem a Sexta Avenida em Nova York, onde há apenas essas caixas, seguidos de caixas e mais caixas,…Os projetos com influência da Bauhaus eram ótimos, mas uma vez que foram repetidos ao redor de todo o planeta, tornaram-se chatos. Não acho que estes criadores sejam preguiçosos, eles apenas pensaram “esse é um meio de construir mais barato do que construíamos antes”. As corporações têm seus próprios programas, que não consideram a convivencia social dos empregados ou a noção de espaço público. Como os shopping centers, onde o espaço é para o público, mas não é público. Mas há pessoas pensando diferente. Recentemente, fomos procurados por um corretor de uma empresa que está comprando vários centros comerciais (strip malls) nos Estados Unidos e queria que os reformássemos. Estes aglomerados de lojas, geralmente nos subúrbios ou entre as cidades, são muito comuns nos Estados Unidos e são todos iguais, como caixas. Este investidor queria que 60% ou 70% desta estrutura fosse mantida e que, para os resto, propuséssemos algo surpreendente. Tinham interesse em fazer espaços modificáveis, para que a pessoa que alugasse uma loja pudesse aumentá-la ou reduzi-la, então sugerimos postes curváveis para fazer cada loja, um sistema muito maleável, que pode inclusive ser usado no lado de fora, para se fazer um jardim coberto. Eles ficaram muito interessados, mas ainda não sei se isto vai acontecer. É possível imaginar que a extrvagância atual de alguns artistas esteja relacionada ao mercado, que sempre busca o novo. Com sua arquitetura, você parece entender que o novo está dentro de si, de cada indivíduo, e que é necessário respeitar a própria forma de pensar fora do senso-comum. É assim que você pensa sua arquitetura? Me questiono se a arte pode algum dia ser separada do sistema monetário. Os trabalhos da minha geração, por exemplo, só foram possíveis porque as galerias de Nova Iorque começaram a mudar de bairro, para o então afastado Soho, e em suas primeiras mostras não podiam pensar em ganhar dinheiro, mas em chamar a atenção. Não foi um mistério o motivo pelo qual a Sonnabend expôs Seedbed, as esculturas cantoras (singing sculptures) de Gilbert & George, a mostra de Dennis Oppenheim. Nenhuma delas gerou dinheiro, mas trouxeram as pessoas para dentro das galerias, e havia sempre uma sala dos fundos onde se vendia as obras que elas queriam. Não dar nada para as galerias venderem foi motivo de frustração para minha geração, mas o que não entendíamos era que fornecíamos algo decorativo, e as galerias precisam do decorativo tanto quanto precisam do atraente; ou até mais. Quando eu fiz Seedbed, a dona da galeria me ligou dizendo que tinha ouvido que eu faria algo muito notável em sua galeria e que fizesse o que eu quisesse. Quatro ou cinco anos depois, o Soho já havia se consolidado como uma região de galerias de arte e os telefonemas eram muito diferentes: “precisamos ter alguma coisa pra vender”; “precisa ser documentado”. Ou seja, as coisa mudaram. Ela era com certeza a negociante mais interessante com qual eu já expus. Em uma entrevista, perguntaram a ela o que a fazia continuar, e sua resposta foi “curiosidade e ganância”. (Risos) O problema da maioria dos marchands agora é que estão focados mais na parte da ganância… Arte é um meio de ganhar dinheiro, e isso não é contra a arte. Em um momento ela serviu à religião, a maioria dos artistas que faziam pinturas religiosas não se importavam com a religião em suas pinturas; eles queriam as sombras e as luzes da arte. Mas deveria haver um equilíbrio. Em sua trajetória você passou da escrita para a arte e da arte para a arquitetura, sempre encorajando a se alcançar o outro. No entanto, em sua palestra, você parece tentar alcançar o outro e ao mesmo tempo, começa a se esconder. Você está negando o artista em você? Eu me escondo porque quando eu era uma pessoa conhecida por fazer performances, eu já não era mais apenas uma pessoa; eu estava me tornando uma estrela. Isto começou a me incomodar tanto que pensei em me disfarçar. No início dos anos 1970, eu lancei uma pequena revista – sempre falei da importância das pequenas revistas -insistindo que ela não teria nenhum critico de arte, apenas entrevistas com os artistas e textos deles, e todas as capas teriam o rosto de um artista. A idéia era mostrar que o artista é uma pessoa como qualquer outra, mas uma vez que a pessoa está na capa da revista, ela não o é mais, é como que tirada da multidão e tornada especial, um mito. Não posso. Eu nunca fui capaz de repetir uma performance, porque pra mim a performance era uma prova de que eu conseguia fazer algo, portanto não faria sentido repetir algo que eu já sei que sou capaz de fazer. Minha noção de performance era quase como uma habilidade política, como executar um contrato, e isto era importante pra mim. “Eu não sei se realmente posso fazer isso, mas eu vou conversar comigo sobre isso”. E por isso muitas de minhas performances tinham eu conversando comigo mesmo: “eu quero ficar sozinho aqui no porão, eu não quero que ninguém desça ao porão comigo” (em Claim, 1971, o artista se postou na escada de acesso ao porão da galeria, segurando uma barra de ferro com os olhos vendados e reagindo à aproximação das pessoas). E é verdade que, da primeira vez que eu executei uma performance, na primeira hora, tudo o que eu queria fazer era fugir. Eu não queria que as pessoas me vissem me fazendo de bobo. Mas eu não pude. Tive que dar de ombros e achar um modo de ficar. À medida que prosseguiu, foi se tornando cada vez melhor, porque eu estava me hipnotizando. Mas aquilo foi quebrado de modo muito fácil também. Porque todas as performances têm histórias engraçadas. Inclusive, em Seedbed, eu tinha que urinar em uma garrafa. Eu também poderia ter matado alguém (em Claim); estava dizendo para as pessoas “eu vou te matar”, “eu vou te matar”, e em um dado momento eu estava balançando o corrimão, que estava frouxo, alguém disse: “Meu Deus ele está falando sério!”. Eu estava tão enfurecido que arranquei fora o corrimão; Perdi a cabeça. Esse projeto era sobre os americanos na guerra do Vietnã. Eu nasci em 1940, nasci e cresci em um tempo que os EUA deveriam ser essa nação heróica. Nós salvamos a Europa. Mais tarde percebi que os EUA eram um país criminoso. Lançamento carioca do Edital nesta segunda feira, às 19h, no Parque Lage, Rio de Janeiro. Entrada Franca. Recibo é uma publicação que surgiu em Florianópolis em 2002, editada por Roberto Moreira Junior, que agencia projetos e ações relacionadas à crítica e às práticas artísticas de circulação e dispersão de idéias. O projeto de recibo se propõe como um meio impresso para publicar imagens, textos, audio, projetos e idéias para circular e evidenciar desdobramentos da produção artística de Santa Catarina e de outras regiões do Brasil. A partir desta edição de recibo, se propõe a cada novo volume editado, uma colaboração de artistas latinos, quer seja através de textos, ou mesmo dossiês de imagens e trabalhos. Neste sentido de intercâmbio que traduzimos dois textos neste edição para o português: “Curadores Salvajes” de Lucas Ospina (do espanhol) e o texto sobre o espaço de arte Montgomery de Berlim (do alemão). O quarto volume chamado recibo07+9, começou a ser produzido em 2007 e ficou sem ser finalizado até meados de maio de 2009, quando se retomou a produção/edição, na ocasião do 3° Ciclo de Discussão sobre Práticas Artísticas e através da parceria com o Museu Hassis e a Fundação Cultural Badesc de Florianópolis possibilitou-se a impressão de uma centena de exemplares. Recibo todavia carece de recursos para viabilizar sua edição com certa periodicidade. Cada recibo é pensado independentemente com número de exemplares distintos. Os três volumes já lançados tiveram desde 50 até 2000 exemplares distribuídos em algumas regiões do Brasil, assim como também em Buenos Aires na Argentina e Caracas na Venezuela. Participam deste quarto volume: o espaço de exposição Montgomery (coordenado pelas artistas Julia Pffeifer e Roseline Rannoch), os artistas Wilhelm Hein, Annette Frick e Setareh Shahbazi (Berlim), os artistas Lucas Ospina (Bogotá), Aline Dias (Florianópolis), Newton Goto, Charles Kitzke (Curitiba), Ducha (Rio de Janeiro), Erro Grupo (Florianópolis) e a pesquisadora Ana Lucia Vilela (Florianópolis). A artista Julia Amaral (Florianópolis), participa desde as últimas edições no conselho editorial e revisão de recibo. Formato: 30 páginas tamanho A4 , preto e branco. Quanto: no lançamento gratuito, depois R$ 5,00 (cinco reais).